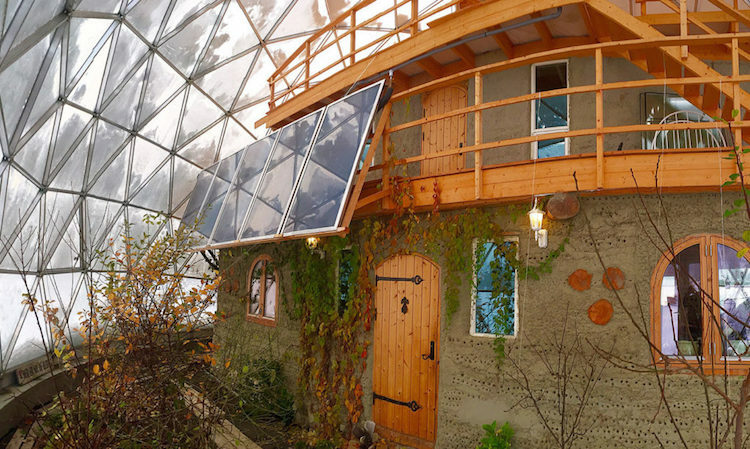 This geodesic dome home was made from recycled building materials, is outfitted with solar panel technology, and enables its hosts to grow food year-round. 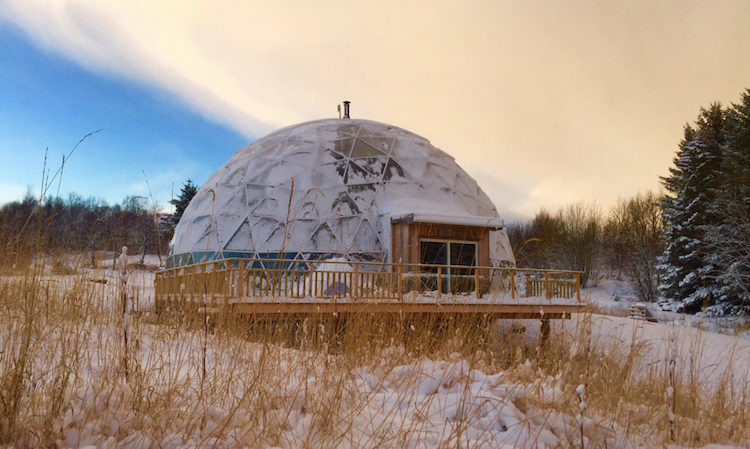 Few people can handle the frigid temperatures of winter, let alone contemplate what it must be like to live in the Arctic Circle. 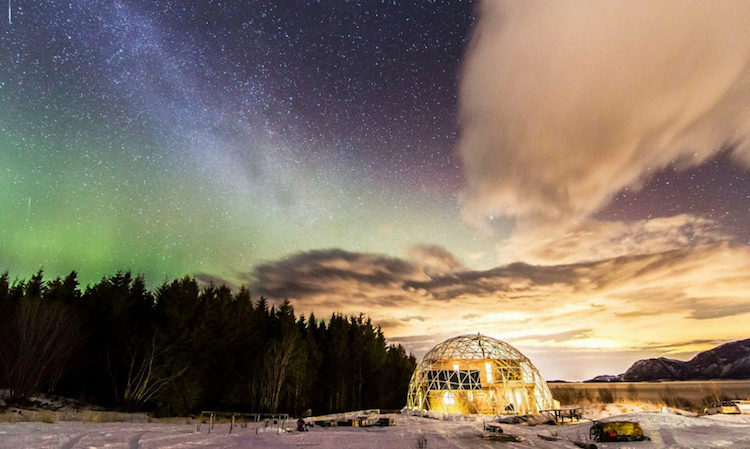 However, one Norwegian family has managed to not only survive, but thrive, up North, and has done so in sustainable fashion. 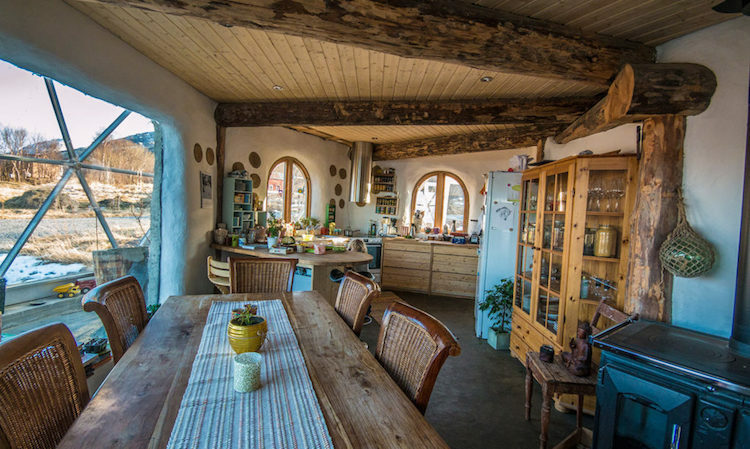 Inhabitat reports that the Hjertefølger family has been living on Sandhornøya island in Norway since 2013, and has done so by living in a three-story cob home called the Nature House. 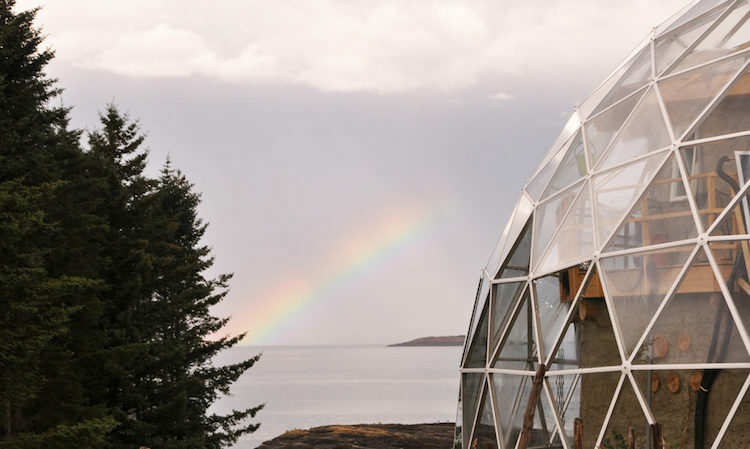 Constructed from sand, water, clay, and other organic materials, the structure took just three weeks to build and is surrounded by a functional and solar geodesic dome. 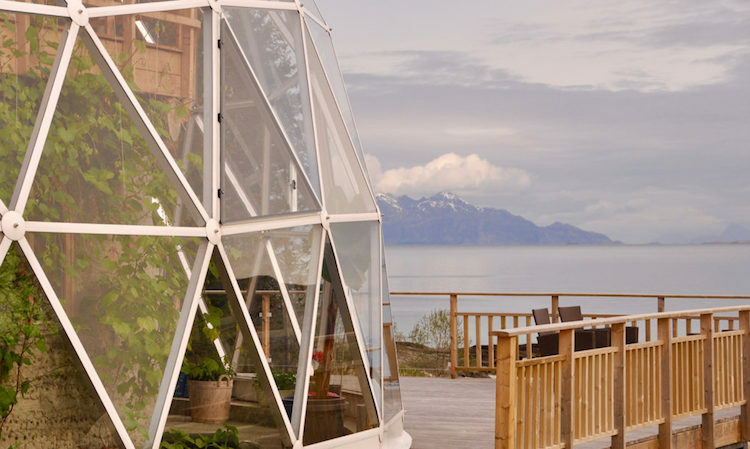 The SOLARDOME encasement is 25-foot high and completely encapsulates the five-bedroom, two bathroom abode. 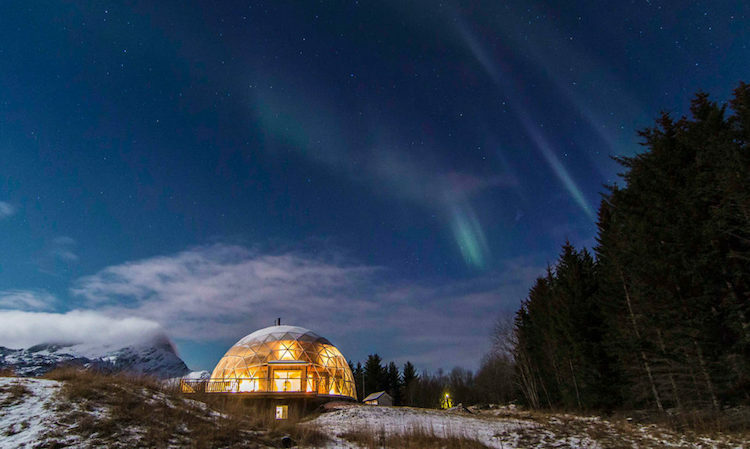 This building protects the six-person family from strong winds and heavy snow loads. Additionally, it helps to drastically reduce the heating bill. 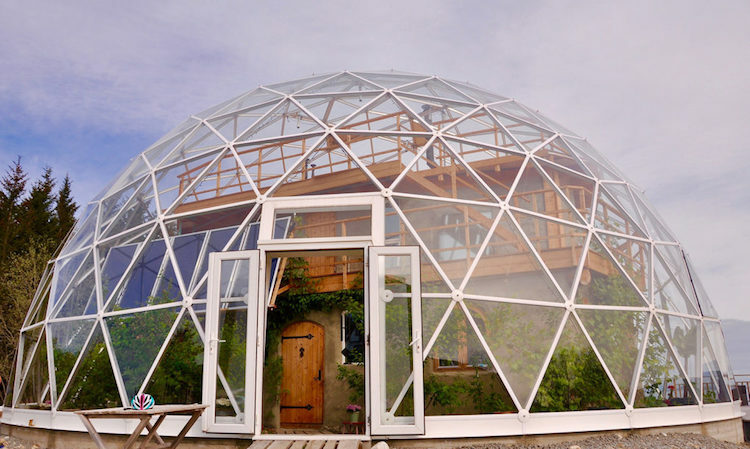 Because the geodesic dome extends past the cob home, there is room for a garden area which supplies the family with apples, cherries, plums, apricots, kiwis, grapes, cucumbers, tomatoes, herbs, squash and melons – basically, much of their food supply. 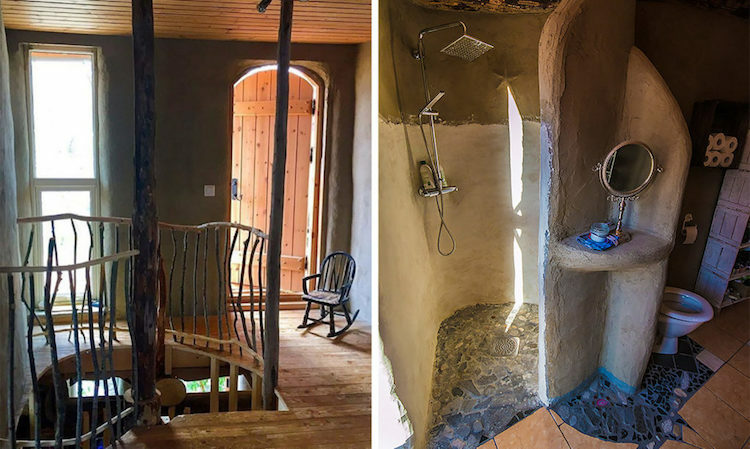 The family is able to subsist sustainably despite living without sunlight for three months every year. 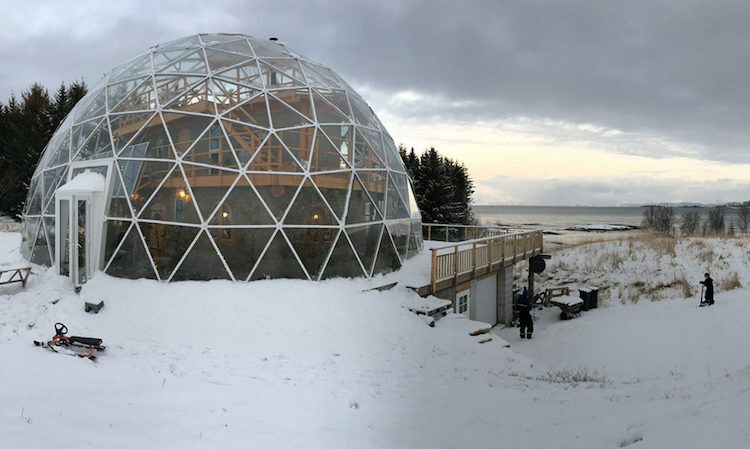 It’s been three years since the Hjertefølger family moved to the Arctic Circle, and they have no intention of leaving the sanctuary that’s been built. 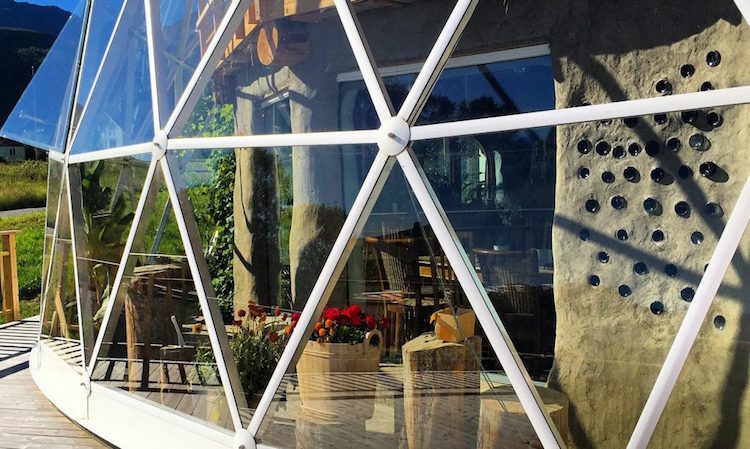 In the future, the Hjertefolgers intend to hold classes, tours, workshops and concerts at the Nature House. 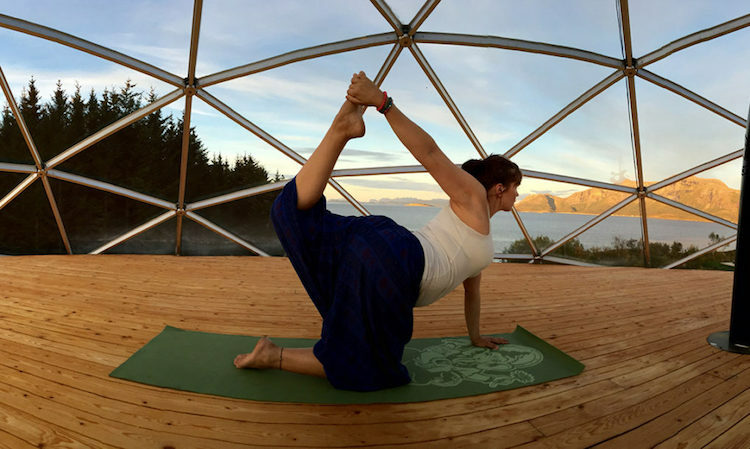 Natural cabins will also be built someday to host yoga retreats and family summer camps.